Coming to America is one of Eddie Murphy’s funniest comedies, with arguably the best wedding dress of any eighties movie. Sweet, romantic, and with plenty of memorable gags, this was Murphy at his very best; showing his impressive versatility as a comedic actor. 30 years later, this is still a favourite among those of us who harbour nostalgia for the eighties – and for a young Murphy. And now it seems we could be getting another glimpse into the life of Prince Akeem, or will it be King Akeem by now? 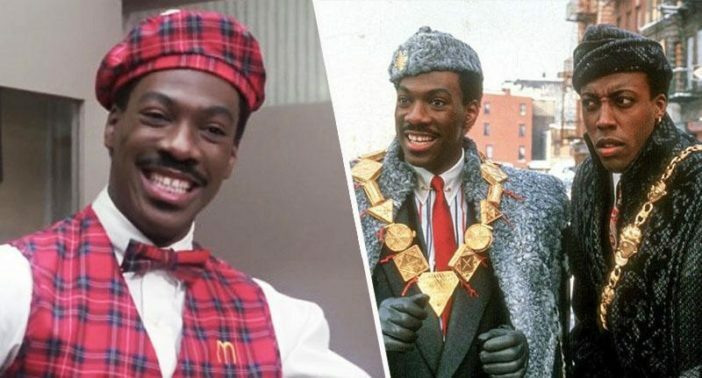 A script for a Coming to America sequel, from original writers Barry Blaustein and David Sheffield, is currently being rewritten by Kenya Barris (Black-ish), reports Deadline. Craig Brewer (Hustle & Flow) will be directing the film, which will bring together the cast of quirky characters, including Prine Akeem himself. #ComingToAmerica I can't wait I just heard that they making a sequel!! Hell yeah!#ComingToAmerica2 ! The 1st one was some of Eddy Murphy's best work! I hope this one just as good! As of yet, no official start date for filming has been given. However, it’s hoped by the team and fans alike, production will begin in 2019.